Second Annual Pint-Sized Prom for our youngest patrons. 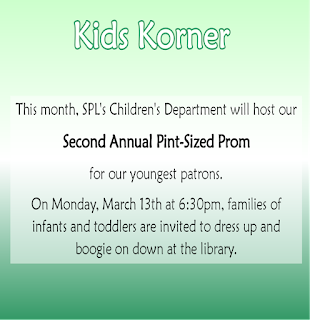 On Monday, March 13th at 6:30pm, families of infants and toddlers are invited to dress up and boogie on down at the library. We will dance to favorite kids' tunes, make music with our rhythm instruments, and generally have a great time. This program is free, no registration is required, and refreshments will be provided. 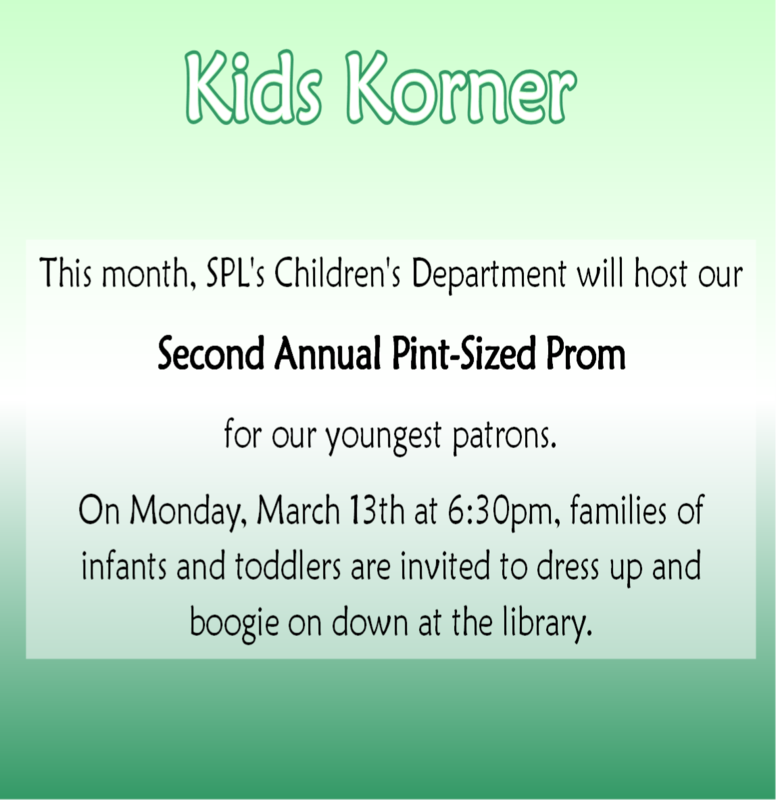 Bring your little dancers to Pint-Sized Prom!